With people having more money to spend on the things they want but no space in the home, it can be tricky trying to find a place to put it all. That’s where storage comes in, and some of the best kinds of storage available on the market are wall units. Here are some things to know about wall units in Toronto. That’s one we hear a lot, and we understand where you’re coming from – having a wall unit that’s a few feet deep may create the impression that you’ll lose precious space from your room. The answer, however, is no, they don’t take up space – they create it. Having wall units in your home is one of the best ways of utilizing empty space and solving that storage problem you’re having. By neatly storing items in a wall unit, you’re removing clutter from your home, making it look even bigger. Everybody wants their home to be as safe as possible, so we understand concerns about safety when it comes to wall units in Toronto. However, we can answer with an emphatic yes, they are safe. Wall units are hung from the wall from a rail that’s attached to your house’s framing, which means they can easily hold a significant amount of weight, freeing you from worry. People love to have a one of a kind piece of furniture in their home, so we’re often asked if they’re custom made. The answer? Yes and no. If you want a completely custom piece of furniture then you can certainly find that, but you’ll be paying top dollar for it. 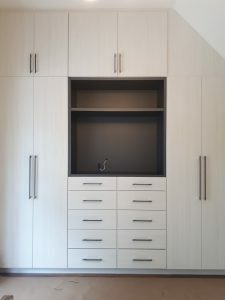 Many wall units, however, come with a range of customizable options, from colors and finish to drawer sizes and extras like mirrors, allowing you to retain some control over the design and giving you a product that’s not just off the shelf. This question really comes down to quality. As you read above, a fully custom job will cost you, but you can get a semi-custom job of good quality at an affordable price, and you may even find some bargains out there if you’re not overly fussed about quality. Absolutely, yes they will. Wall units are a beautiful piece of furniture that are highly desired, and so by choosing to put one in your home will increase the value, potential paying for itself over time. They’ll also help prospective buyers to picture themselves in your home, further attracting bids on your home. There are plenty of solutions to the storage question but wall units are a true all rounder. A great way to utilize space and buy an affordable piece of furniture with your signature style, there’s a reason they’re so popular. Every year there seems to be a new furniture trend, and this year it’s definitely closet organizers in Toronto. Not only do they look good, they’re practical too, making them a much-desired product. With more and more people looking to finally organize their closets, here’s a look at how buying one can actually save you money in the long run. The beauty of closet organizers really lays in their customizability. 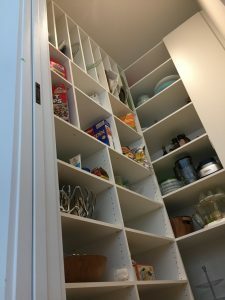 From overhead storage options to draws and rails, closet organizers seek to utilize all possibilities in order to give you exactly what you want to suit your storage needs. By taking the time to assess your needs accurately, you can cater for them in one fell swoop, reducing the risk of going out to buy more storage options in the future. Having everything under one roof in one unit is much cheaper that having to go out and individually buy, for example, a set of drawers, another cupboard and a clothes rail. They’re made to last too, so you don’t have to worry about buying another one if it falls down – like your flat pack DIY choices inevitably will. The beauty of a closet organizer is that you can design it with your needs in mind, meaning you’ll know exactly where you’re putting everything. This means it will be harder to lose something; no more rushing about trying to think where you put your gym shoes – you’ll know exactly where they are because they have their own section. Not many things are worse than thinking you’ve lost something only for it to turn up once you come home with its replacement, and with a closet organizer, you can say goodbye to the chances of that happening again. The Chinese concept of feng shui relates a clean, tidy environment to how you feel. By having everything so neat and organized, you’ll start the day on a brighter note for not having to rush around and throw together an outfit. This calm feeling and lack of stress can help you to be more productive, whether it’s at work or in the home, and shouldn’t be sniffed at. Because of how trendy closet organizers in Toronto are, by having one you can expect your home’s value to rise. A sought after feature like this will not only increase the value, it will attract more bids too, meaning that they will more than pay for themselves should you ever wish to sell your home. Not bad for something you bought to try and keep yourself sane in the mornings! There’s no denying that closet organizers are a wonderful product to have in the home – space saving, mood raising and easy to use. But their true value lays in the fact that they can save you money in the future – which makes them almost priceless. Every shoe lover eventually faces the same dilemma: where to put them. Managing your shoes can become quite a challenge once the number of pairs reaches a critical mass and outstrips your regular storage options. When that happens you have a couple of choices. You can just put them wherever and spend your life tripping over them or you can find new, innovative methods for keeping them organized, readily available and out of the way all at the same time. Below are 10 storage solutions a Toronto shoe aficionado might want to consider that make the most of available space. Finding enough space to safely store your shoes so that they’re out of the way yet always available is one of the great challenges of our time. Okay, maybe it’s not all that but it is important. Here are 10 cool solutions for the problem of shoe storage. 1. Shoes in the staircase – It’s not unusual to store shoes on the stairs. But what about in the stairs? Turning the space under each stair into a drawer for your shoes is a surprising solution. 2. Repurposing your bookcase – The book is something of an endangered species so bookcases today are not as full as they used to be. Use the excess space to store your shoes. 3. Install shelving – People are always installing shelves for photos and other things. Why not for shoes? A few shelves on the bedroom wall or in the walk in closet may be just what you need. 4. Use an ottoman – Storage ottomans are relatively easy to find. They give your place an added sense of hominess and provide the additional storage you need. 5. The folding screen solution – Lots of us have folding screens in our bedrooms. Hang pocket style shoe organizers over the screen sections to get your shoes off the floor. 6. A room divider – Contemporary room dividers make great storage solutions for Toronto homeowners. Instead of filling yours with knick knacks use it instead for shoe storage. 7. Use the china cabinet – Most people don’t have enough actual china to fill a china cabinet. If that describes you then put your cabinet on shoe storage duty. 8. Moulding above the doors – Most older homes have doorways with pretty elaborate moulding across the top. Use it to hang your heeled shoes from. It’s free and out of the way. 9. An old wooden ladder – If you don’t have an old wooden ladder you can probably find one at a garage sale. Bring it home, clean it up and stand it anywhere that’s out of the way. The rungs make perfect hangers for your heeled shoes. 10. Crown moulding as a rack – Cut some crown moulding into 3 or 4 foot strips and attach the sections to the wall one above the other. Then put small hooks on the moulding and hang your shoes from them. Superior Closets have been providing storage solutions for Toronto homeowners for more than 20 years. Give us a call on 905-669-8280 to find out how we can help you. Whenever the subject of any type of home improvement comes up it always raises the question of whether you’d be better off doing it yourself or if you should hire a professional. In some cases it’s a no-brainer (only the most foolhardy for instance would attempt a DIY home addition) while in other cases (like installing a garage door) the line is not so clear. Another area where the line is sometimes blurred is when it comes to seemingly minor alterations to your interior decor like re-facing cabinets or remodeling your closets. Making your own closet organizers can seem simple enough from a distance but is it really a DIY project? Closet Organizers Toronto: Enlist a Pro or Do it Yourself? ● The Design – You may be the world’s best programmer or high jumper or teacher but do you actually know anything about design? Most people who’ve never tried to design something tend to think design is easy. It’s not. Professional designers study their craft for years and most have additional years of practical experience in the field before you ever sit down to talk with them. As such it’s no slight to you to say they’ll come up with a better design. ● The Budget – If you simply don’t have the resources to hire professional closet organizers in Toronto then the DIY vs Pro choice is pretty much made for you. Or is it? Think about this: what if you spend the $500 you had budgeted for the project, design and build it yourself and it ends up looking less than great? Was that money well-spent? It might be smarter to simply delay the project until you can save enough to hire a pro rather than rushing it and wasting your money. ● The Schedule – A full scale closet remodel is not something you’re going to finish in a few days if you don’t have any experience with such a thing. It may take you weeks and there’s always the chance that – unless you’re a truly dedicated DIYer – you may lose interest before the project is finished. On the other hand a talented team of professionals will get in and out in short order and leave behind a perfectly remodelled closet. ● The Finished Product – Or more precisely the value of the finished product. Often times when people sell homes that include DIY revisions they find those projects can negatively impact the asking price. Those DIY remodels are also usually the first thing the new owners remove once they move in. 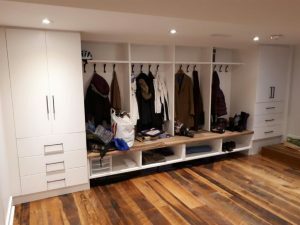 By contrast professionally executed closet organizers in Toronto add value to your home and are the kind of thing that becomes a selling point rather than something you hope the buyer won’t see. Talk to the pros at Superior Closets about your closet remodeling job. Providing beautiful, versatile and valuable closet organizers in Toronto is what we do.